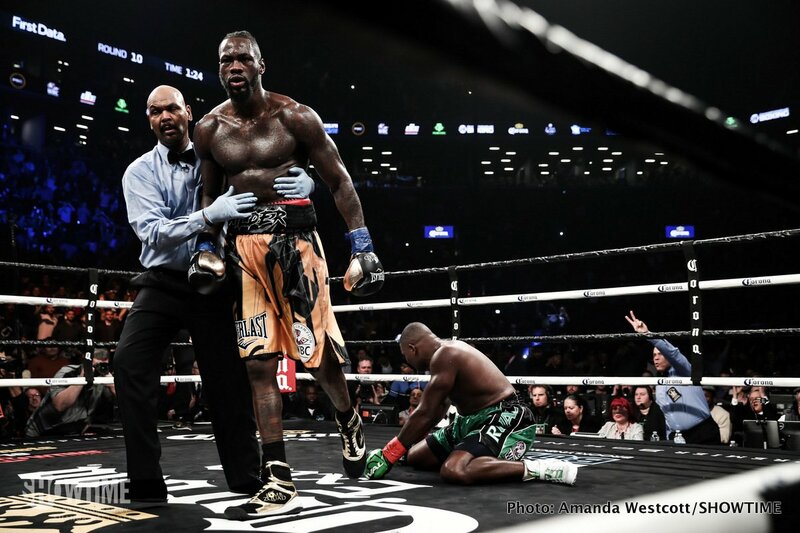 The negotiations are still dragging on, yet both heavyweights, Deontay Wilder and Anthony Joshua, remain optimistic their massive unification battle will happen – this year. The big sticking point seems to be, aside from the cash split, the location of the fight: AJ very much sticking to his guns in saying the fight has to take place in the UK and Wilder preferring the fight to go down in the US. But in speaking with Fight Hub, WBC king Wilder mentioned the possibility of his taking the fight in either country. Wilder, a perfect 40-0(39) said the fight “is coming,” and he spoke of two potential dates; one for each side of The Atlantic. We fight fans have of course been ready for some months now and we remain hopeful that the two sides will do what they are supposed to do and get a deal signed, sealed and delivered. Joshua (and Eddie Hearn) seem adamant that the fight happens in the UK, but at least Wilder seems to be a bit more flexible. But as has been said a number if times now, it doesn’t really matter too much to we fans where the fight takes place – as long as it does take place. It looks as though we may have lost out on a massive middleweight rematch between Gennady Golovkin and Canelo Alvarez due to money issues; let’s not lose this fight over a venue dispute. Next boxing news: Tony Bellew is serious: I love Tyson Fury, but I’d hit Fury in the face very hard!